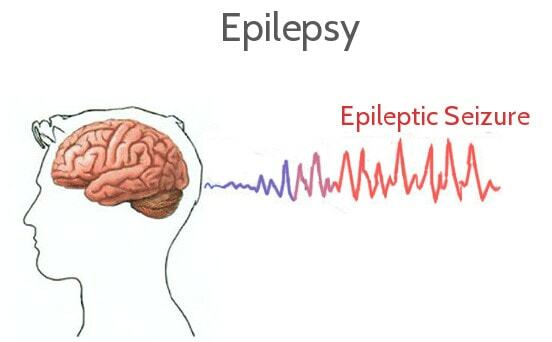 Epilepsy is a group of neurological disorders with seizures - vigorous shaking. Its a sudden rush of electrical activity in brain. - It may be for short term or it may be for long term. - It can give you physical injuries like bone fractures. Or uncontrollable jerky movements of legs and arms, or temporary unconciousness or awareness or psychological symptoms like fear or anxiety. - Causes are some times not known or it may be due to brain injury, stroke, brain infections, brain tumors or birth defects. - U need to do electroencephalogram or CT scan or MRI to diagnose the cause for it. - Epilepsy is treated with medications and if not responded with medicines than with surgery or neurostimulation and or dietary changes. Most importantly treatment as well as precautions should be taken to prevent injuries when one has episode of epileptic seizure. Its present in 1% of population more common in villages than in cities. (8.8/1000 population). - In india 1 million cases are seen per year.